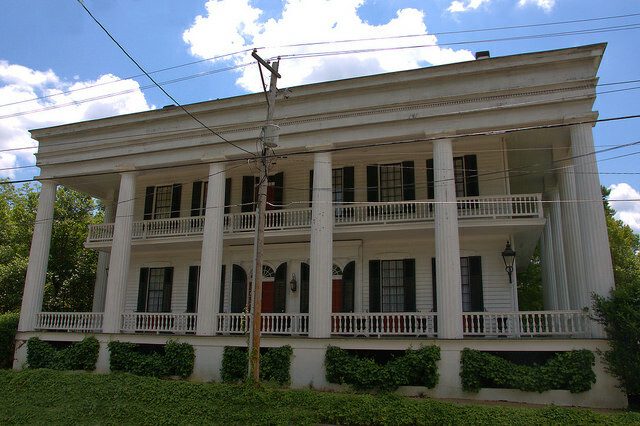 Built in the Federal style around 1800, this grand home took on its present appearance with the addition of the colonnade around 1841. Duncan G. Campbell, its first notable resident, was credited for drafting the treaty that removed the Cherokee Indians from Georgia and also for introducing in the Georgia Legislature the first bill for providing for higher education for women. His son, John Archibald Campbell (below), was born here in 1811. 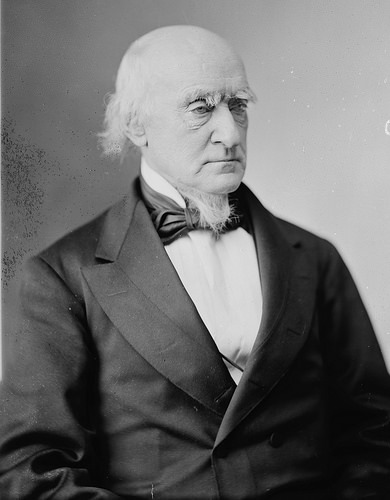 The younger Campbell served as an Associate Justice of the United States Supreme Court from 1853 until 1861, when he resigned to become Assistant Secretary of War of the Confederate States of America. After the war he practiced law in New Orleans.